Massachusetts is filled with stories to tell on ghost and goblins, so you can bet there are plenty of Ghost Tours to choose from. Whether it’s a tour through a historic part of town or haunted neighborhoods, you’ll be in for a real scare. Massachusetts is also home to Salem, aka The Witch City, which is full of history on witchcraft. 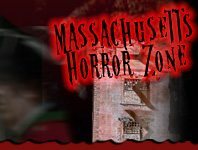 Experience any one of the Ghost Tours in MA for a full Halloween experience!